We offer a number of services that can be customized to your specific needs. Of these, Maintenance of you door should be given serious consideration. We also offer New Replacement Doors if your entryway is beyond saving or if you just wish to update the overall look of your entryway. 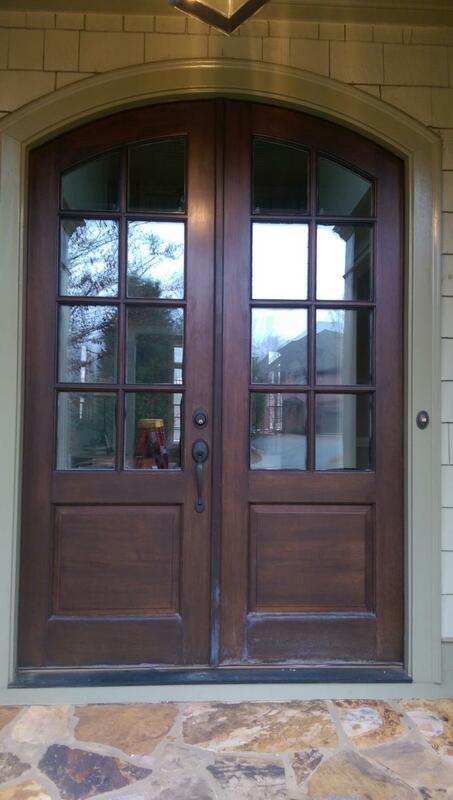 Wooden doors will weather and fade, regardless of how they are refinished. We use the finest grade of Spar Varnish with UV resistance to slow down this natural process. Further to that we offer a maintenance program which is designed to further extend the life of doors. We will call you as an existing customer, or alternately you may call us. If there are signs of weathering we can visit and refresh the protection imparted by our Spar Urethane finish. 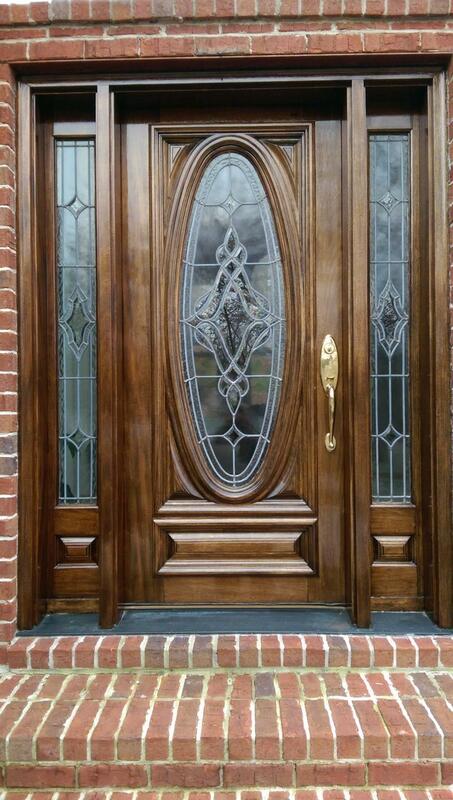 This delays refinishing by many years and extends the life of your beautiful doorway. We will clean and gently sand the door, then apply a coat of clear exterior varnish with UV protection which will extend the life of the door. We recommend this be done annually or twice a year if exposed to high levels of sunlight such as soutth facing entryways. Below is an example of what we do when we carry out our maintenance option. This example was in the Laurel Springs community. 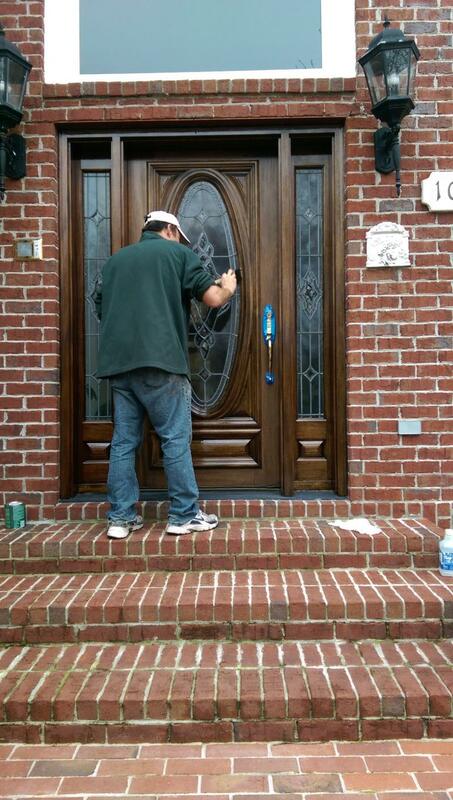 Basic process: Remove weatherstriping from the door jamb. Clean and sand the door manually with fine sandpaper. Clean the surface again before varnish. Touch up any scrathes or bare ares as needed with matching stain color. Apply a coat, usually by brush, of our Premium Spar Urethane Varnish. After 24 hours, replace the weatherstriping - our clients will usually do this simple task, but we will re-visit to complete if needed. Note the weathering a the base with gray woodwork exposed. After cleaning, sanding and re-staining we apply fresh varnish by Spraying. Finally, the doors are re-varnished. In this example, we recommended another coat be applied in early summer, given the extreme extent of weathering here. This service will not give the logevity of the full refinish option. Finished doors - they are A-door-able! All that is left is to allow the varnish to fully dry and harden. Weatherstripping will be replaced after 24 hours. Like changeing the oil in your car regularly extends theworking life, refreshing the protective finish on your door serves the same function. 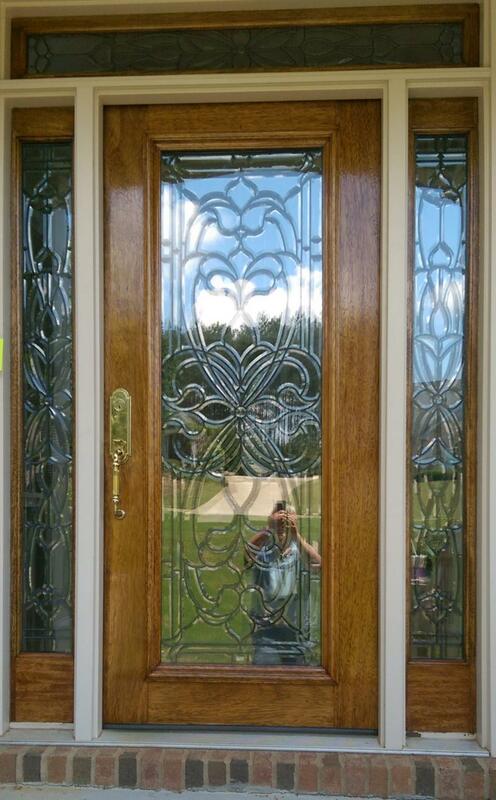 This door has been serviced annually for many years and is still gorgeous. 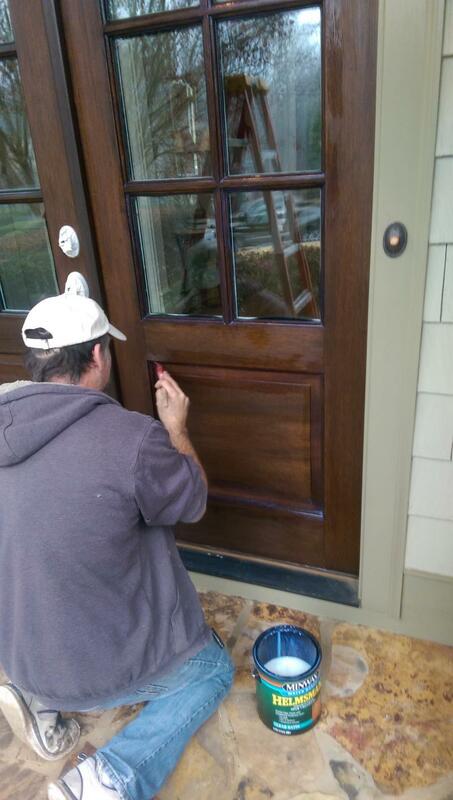 Sometimes there is to much damage to your classic doors that they may be unsaveable, or you may just like to update your entryway look all together. We offer new door choices and finishing options. 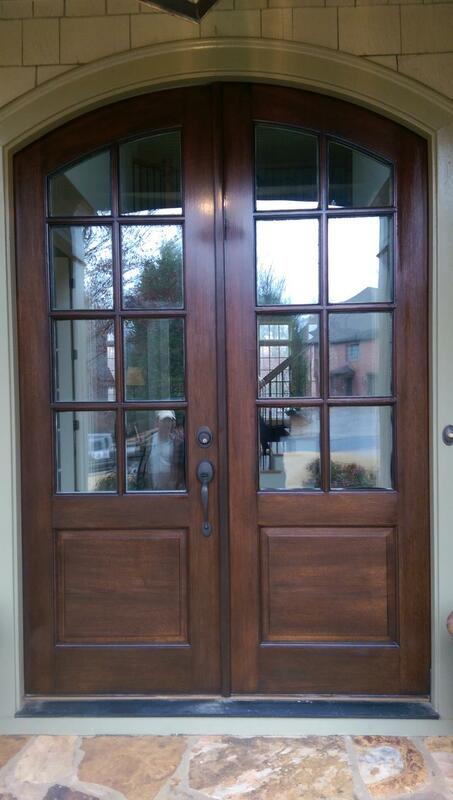 We can replace door Jambs and other door features. See the "Other Projects" tab for more. Contact us for more information. All Services are Custimized to your Specific Needs. Please check us out on Facebook as well as HomeAdvisor.